Flood, Desire and Transitions: Join us for a day of writing! Posted on January 11, 2011 | Comments Off on Flood, Desire and Transitions: Join us for a day of writing! Join us in the Writing Ourselves Whole workshop space for one of the coming events to say goodbye to Suite 423 -- we will be moving in Feb! Just announced! Sat, Feb 5: Writing Transitions: A workshop and fundraiser! Read on for more information about each of these workshops — and visit our Sign Up page to register! Writing Transitions: A workshop and fundraiser! At the end of February, Writing Ourselves Whole will be moving out of the workshop space in the Flood Building that has held us since 2007. In order to both raise funds for the move and to honor the transition, we want to spend another day allowing Suite 423 to hold us in our work — so I’m offering a three-hour writing workshop/fundraiser entitled Writing Transitions. Are you or your characters preparing to move through some transitions? Join us for a chance to write into your own, possibly surprising, possibilities while supporting Writing Ourselves Whole! Transition is defined as: “a passage from one state, stage, subject, or place to another.” Points of transition, even ones we’ve chosen and worked for, can be difficult or painful, as we relinquish old patterns for new experiences. While transitions are ongoing, we can feel destabilized and even sort of homeless. 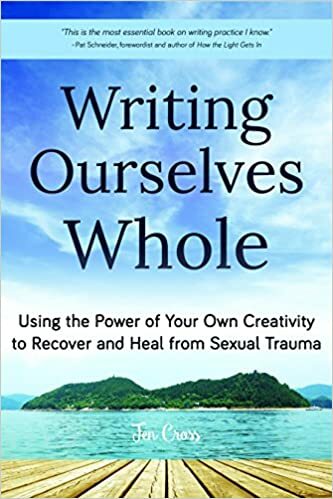 In this writing group, we will use the AWA workshop method and write together in response to exercises designed to allow us to honor what we’re releasing, and celebrate the tensions and discomforts, as we vision what we are moving toward. Writers will end the workshop with creative work that engages the complexity, and yes, difficult beauty, of transition times! If you are working on a longer work of fiction, and your characters are dealing with some transitions, these exercises will allow you to get inside their experience and understand more fully what these changes mean for them. Contact Jen with any questions or to join us!